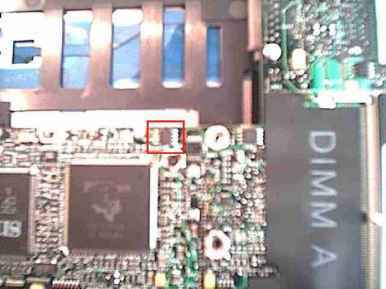 ^ NOTE: These instructions only apply to Mobile Broadband ExpressCards or Mini-Cards. They do not apply to internal cards with Bluetooth® wireless technology or WLAN Mini-Cards. NOTE: Before you connect to the Internet, you must activate mobile broadband service through your cellular service provider. For instructions and for additional information about using the Dell Mobile Broadband Card Utility, see the user's guide available through the Windows Help and Support Center. To access the Help and Support Center, see "Windows Help and Support Center" on page 13. The user's guide is also available on the Dell Support website at support.dell.com and on the CD included with your Mobile Broadband card if you purchased the card separately from your computer. 1 Click the Dell Mobile Broadband Card Utility icon, ^jj], in the Windows taskbar, to run the utility. Tid NOTE: The Connect button changes to the Disconnect button. 3 Follow the instructions on the screen to manage the network connection with the utility. A security cable lock is a commercially available antitheft device. 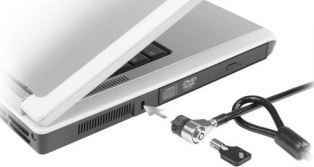 To use the lock, attach it to the security cable slot on your Dell™ computer. For more information, see the instructions included with the device. Passwords prevent unauthorized access to your computer. When you first start your computer, you must assign a primary password at the prompt. If you do not enter a password within 2 minutes, the computer returns to its previous operating state. • Choose a password that you can remember, but not one that is easy to guess. For example, do not use the names of family members or pets for passwords. • It is recommended that you do not write down your password. If you do write it down, however, ensure that the password is stored in a secure place. O NOTICE: Before you buy an antitheft device, ensure that it will work with the security cable slot on your computer.